This 90 minute Houston Segway tour with a local guide is both a historical adventure through downtown Houston and a great way to sight-see all that downtown Houston has to offer. 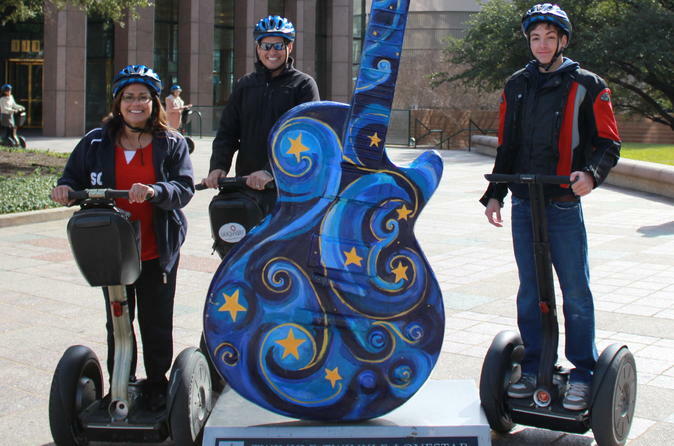 Your Segway tour starts near the Houston Justice District and Houston’s famous Main Street. After a short break, your Segway tour will travel through the exciting Main Street District, Houston’s Theater District, and many of the city’s gems including the Jones Hall for Performing Arts, Wortham Theater Center, and the home of the Houston Ballet. This small-group tour has a maximum of 7 guests. Meet your local guide at the Segway office 15 minutes prior to the 1pm departure. The Segway tour ends at appx 2:30pm at the Segway office.